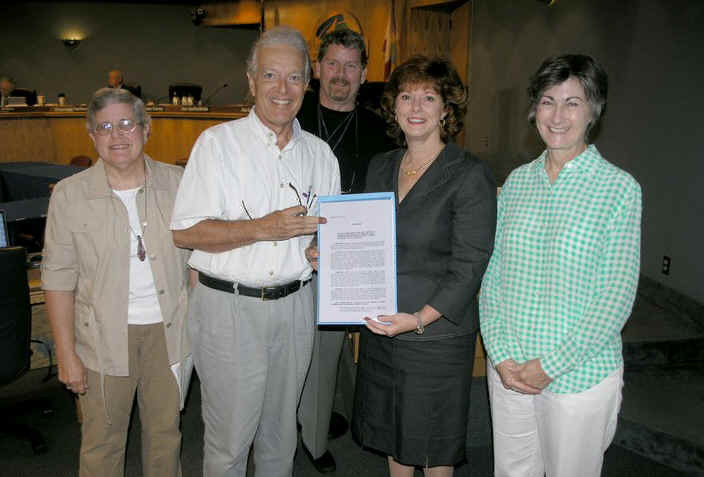 THE FOLLOWING RESOLUTION WAS ADOPTED AT THE REGULAR MEETING OF THE BOARD OF COUNTY COMMISSIONERS OF SEMINOLE COUNTY, FLORIDA ON THE 28th DAY OF AUGUST 2007. WHEREAS, the Seminole County Board of County Commissioners has continually supported preservation of rural character and natural lands through the Seminole County Natural Lands Program established in 1990 through a voter referendum, through formal identification of the East Rural Area in 1991 which established the urban/rural boundary line and created the rural future land use and zoning designations in place today. This Rural Area was further reinforced through a 2004 voter referendum, identifying the Rural Area in the County Charter. 1. The Board recognizes that the village of Geneva is an integral part of the rich rural and agricultural history as well as the culture of the County with past, present and future significance. 2. The Board recognizes that the village of Geneva has worked hard as a community to maintain a living rural heritage, while respecting individual private property rights. 3. The Board applauds the community efforts of the village of Geneva to be recognized as a “Rural Heritage Area” with state and national historic preservation agencies. BE IT FURTHER RESOLVED, that this Resolution be spread upon the Official Minutes by the Clerk of the Court of Seminole County, Florida, and this Resolution be presented to the Geneva Citizens Association and to the Geneva Historical & Genealogical Society. ADOPTED, this 28th day of August, 2007, A.D.